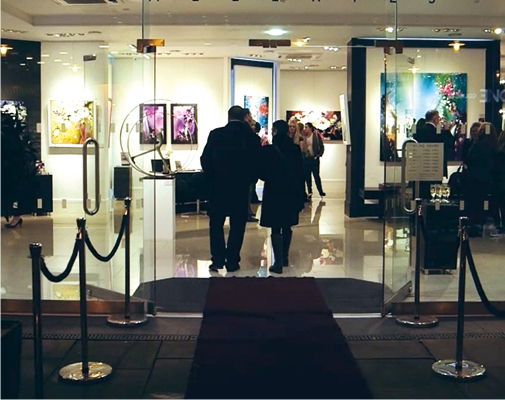 To walk through the door of a Whitewall Gallery is to walk into a peaceful oasis of light, space and inspiration. A glass of wine, a cup of coffee, relaxed yet elegant surroundings, expert but friendly advice close at hand… all these elements combine to create the unique Whitewall atmosphere. Because each gallery is an architect designed display space, its beautifully proportioned and exquisitely lit rooms offer a uniquely flexible environment within which the artwork can come to life. At the same time, every Whitewall radiates a warm welcome and positively encourages visitors to kick back for a while, and take the opportunity to enjoy viewing an exceptional range of original paintings, collectable limited editions and sculptures in comfort and style. With more galleries opening across the UK, Whitewall is bringing art closer to home for everyone. 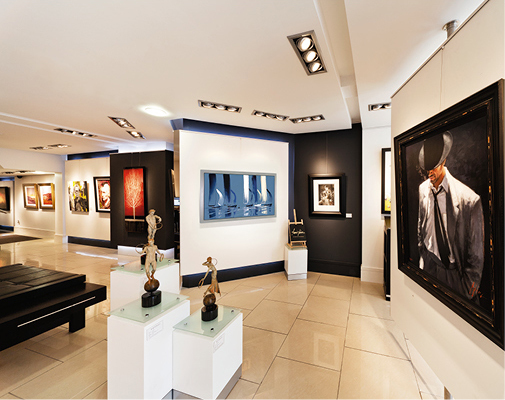 We first opened our doors in London’s Westbourne Grove at the end of 2006; over the last decade Whitewall galleries has encouraged literally thousands of people to either begin collecting art, or to expand their existing collections in exciting new directions.